"A Return to Love ...Again"
Thank you for joining us for the “Luminous Heart Award” celebration at the Cosmopolitan Club at 8:30 AM on Wednesday, February 13th. It is going to be a wonderful event, and we are looking forward to seeing you there. 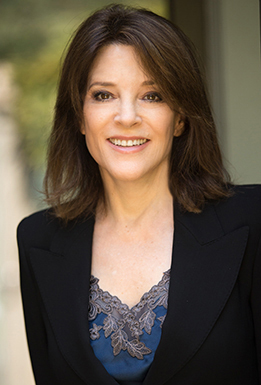 We are so blessed to be able to celebrate Marianne Williamson as the 2nd recipient of our Luminous Heart Award. Breakfast will be served promptly at 8:30, and the program will begin at 9:00. If you have any questions, please reach out to Rev. Richard Miner at revrichard@1spirit.org.